So do you want to install TWRP recovery on Nokia 6 if yes then you are at right place . Today we are here with the guide on How to Flash twrp recovery on nokia 6 . Nokia 6 is the latest smartphone from Nokia in india, Apart from this nokia also launched 2 devices in india ( Nokia 3 and Nokia 5 ) . Nokia 6 comes with a 5.5 inch screen and a resolution of 1920X1080 pixels and 403 pixels per inch density, Coming to the hardware so the smartphone comes with snapdragon 430 octa core processor coupled with 3Gb of ram . For capturing photos there is a 16 Mp camera unit at the rear end and a 8 mp camera unit is placed at front end. So without wasting much time lets start the guide on How to install TWRP recovery on Nokia 6. Internet connection is required to Download TWRP recovery for nokia 6. First of all Download TWRP recovery for Nokia 6 From Here. 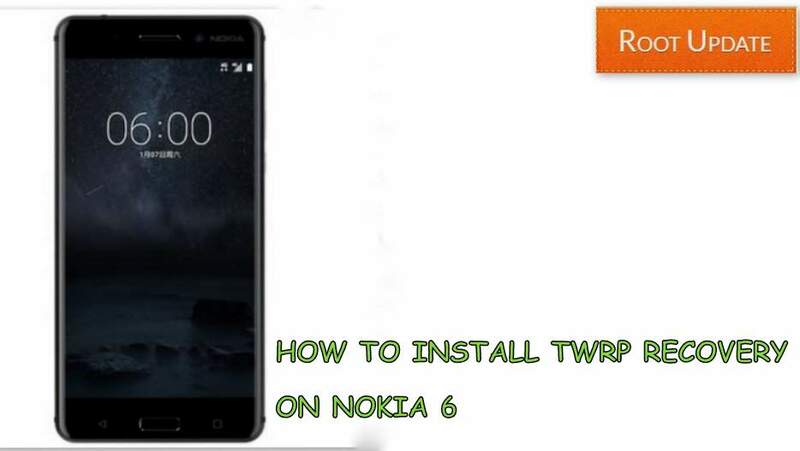 So this was our guide on How to install TWRP recovery on Nokia 6, we hope you liked our guide and if you have any doubt feel free to ask in comments section below. Is this method tested on Nokia 6 China version (T1000) ?